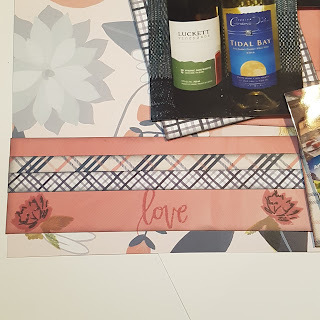 I'm excited to be sharing my second set of projects made with the April Kit featuring 1 Canoe 2 Twilight. 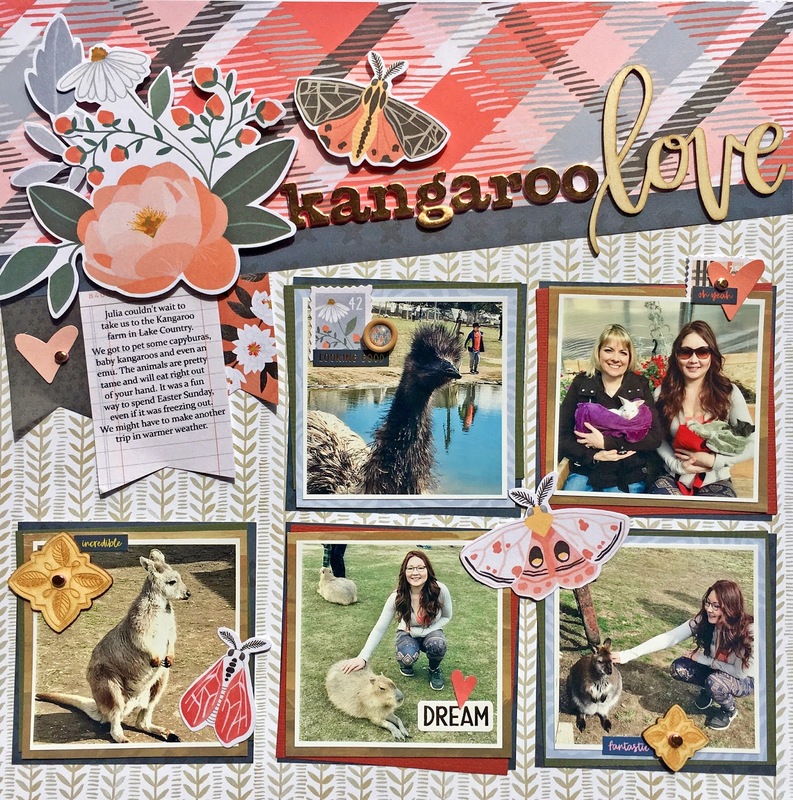 This month the Design Team is using the Creative Scrapbooker Magazine April Sketch for inspiration. Here is my take on the sketch. 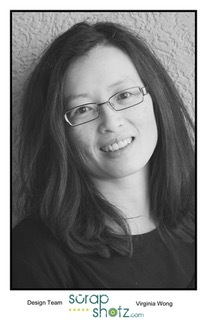 I changed it up a bit by using five photos instead of three, but other than that, I stuck pretty closely to the sketch. 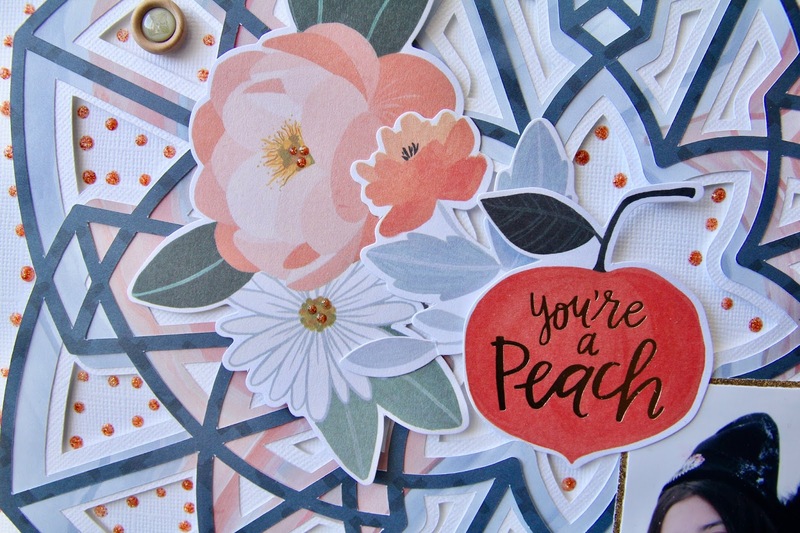 The large flower die cut really balances out the five photos and draws your attention to the title. 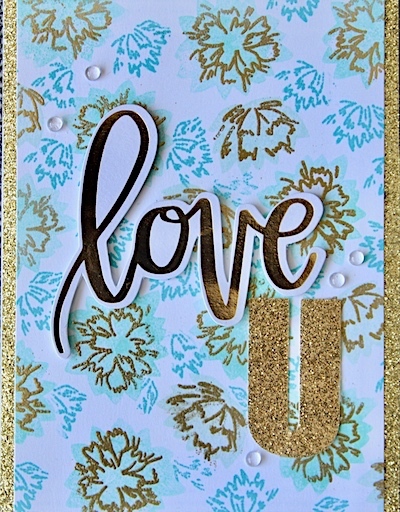 All the other embellishments are from the kit, except the word stickers which are from Pink Paislee Pick Me Up. 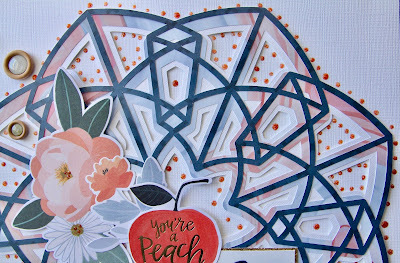 The kit includes the matching stamp set from the Twilight collection and for my second project, I wanted to make a one layer card with it. 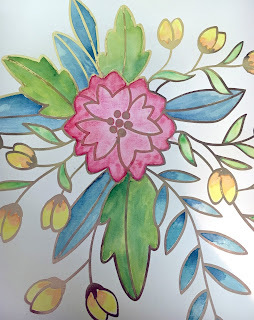 I started with a piece of 4 1/2" x 5 1/2" piece of white cardstock and my Distress Oxide inks in various colours. 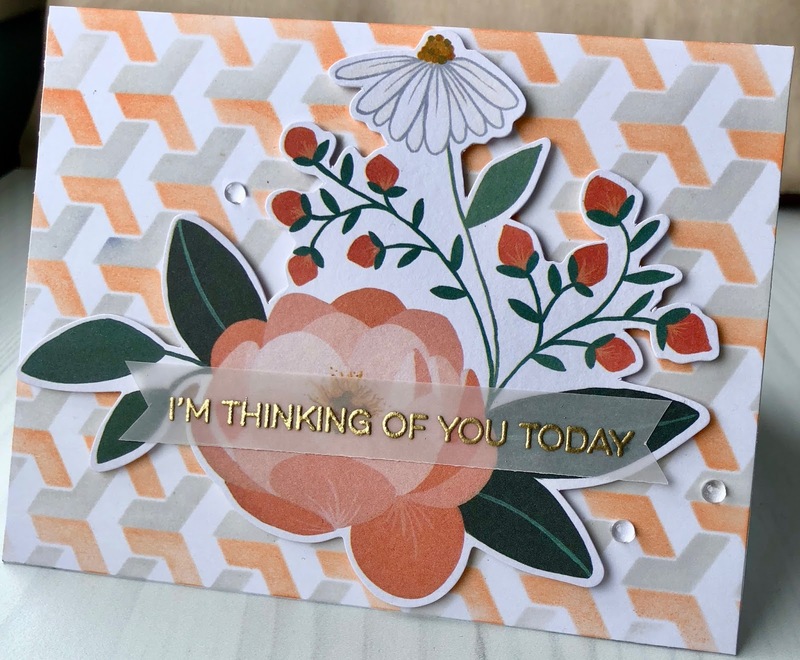 I stamped the flowers and leaves in a random pattern, then used my diecutter and a stitched rectangle die to cut it down. I then mounted it on a piece of pink cardstock and then on a white card base. 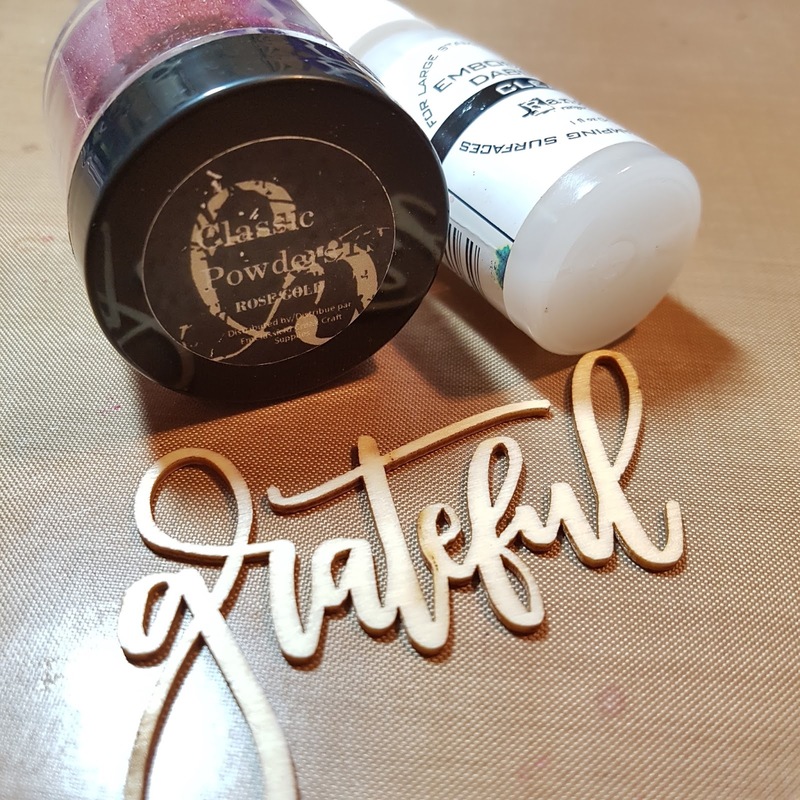 The sentiment was stamped with an Altenew phrase stamp and some rose gold embossing powder. To finish it all off, I sprinkled it with Nuvo Crystal Drops. Be sure to check out the complete April kit in the store. 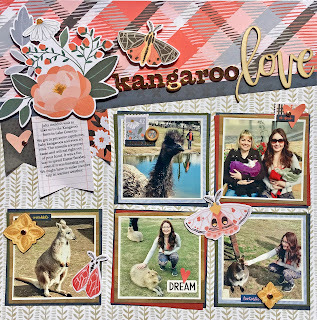 Today, I am sharing two layouts made with the beautiful April Kit featuring 1 Canoe 2 Twilight. Oh, my! These papers are just gorgeous!! The kit includes a specialty water colour paper, and that was the one I had to start with. I will say that there is a bit of a learning curve on this paper, but I am so happy with the effect. Unlike most water colour, this paper has some kind of coating on it. I tried to use the technique of adding water first to a section and then add the watercolour paint. However, it would just pool and not sink in. I figured out that it works best just using a small amount of watercolour paint and no extra water. I don't have very fancy paints (just Michael's brand), so that might have been the problem. And it was difficult to keep the paint from covering the gold resist areas. So, after hours of painting, this is the hot mess I got. I was in deep now, so I kept going. Using a very small paint brush and water, I cleaned up the resist areas. It was painstaking. LOL! But it worked like a charm. 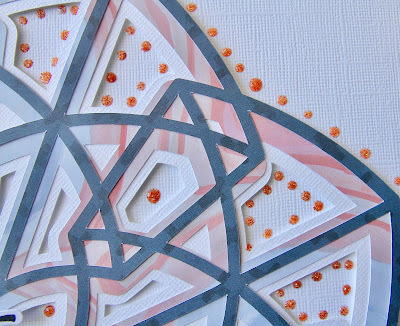 Once it was all dry, I fussy cut the entire design from the white background and mounted it on a piece of the patterned paper. 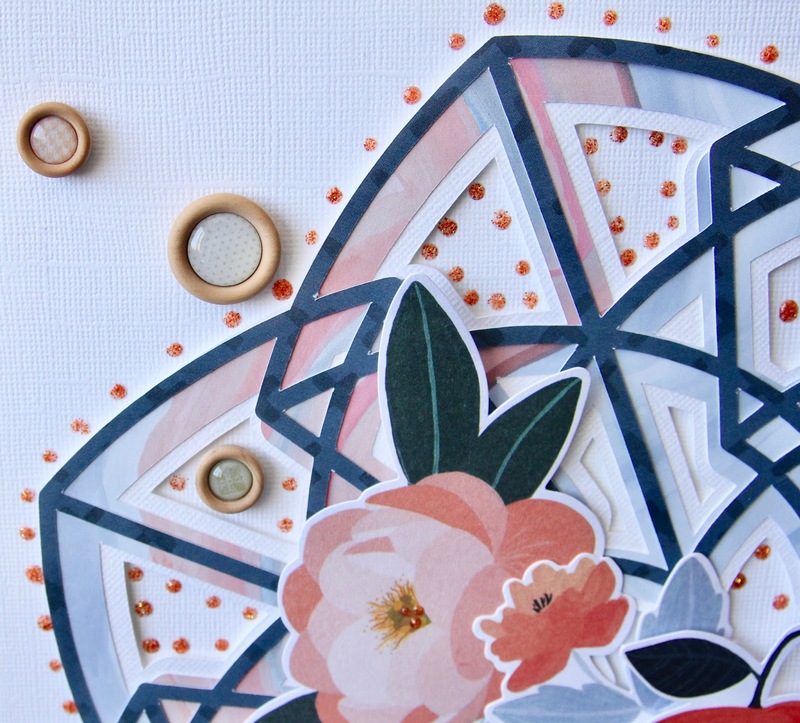 The flower was a lot of embellishment already, so I just added a few of the die cut embellishments included in the kit. The butterfly is fussy cut from one of the cut apart sheets. The alpha title is made from Pink Paislee Pick Me Up Thickers and mini tile stickers from my stash. I added some black splatters, sequins and some Stickles to finish everything off. The nice thing about using a paper like this, is that you don't have to make the page too complicated. I didn't want to hide it with a bunch of "stuff". 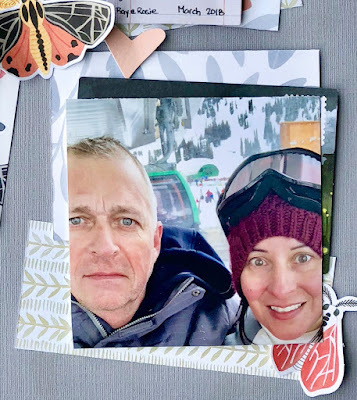 The photo is mounted on some patterned paper and cardstock and embellished with some of the diecuts. 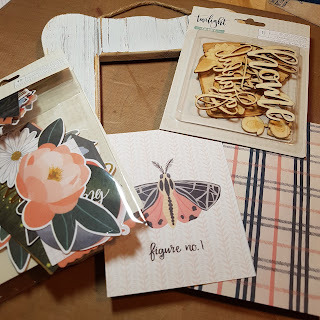 The little wood veneer fireflies are so darn cute!! 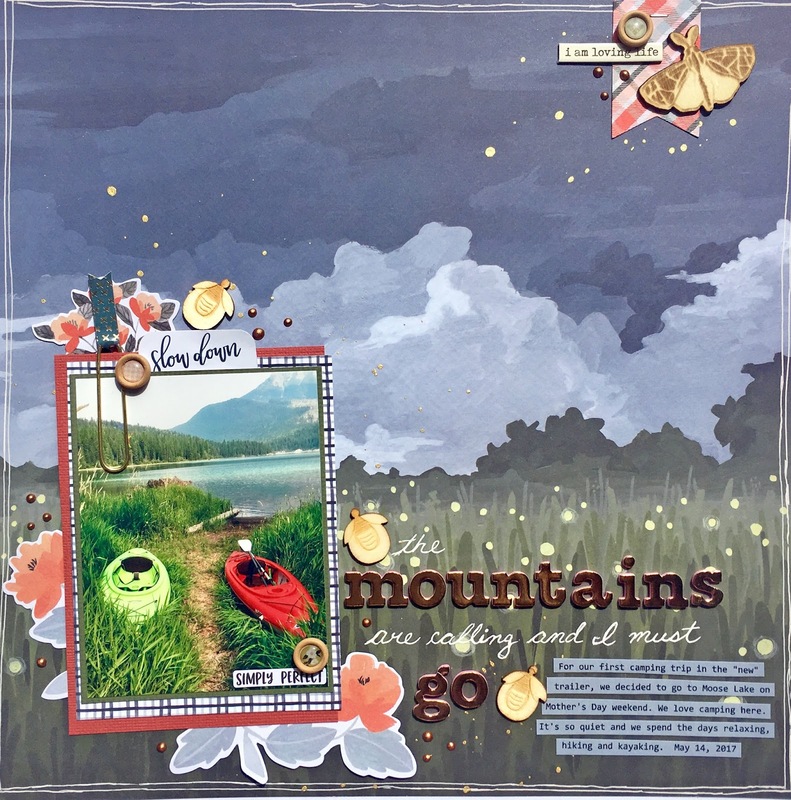 I added some gold Heidi Shine and some Nuvo drops from the kit to tie in the "fireflies" from the grass area on the paper, to the cluster at the top. I used a few word strips from the March kit to finish everything off. I just love the projects I made with this collection. Be sure to check out the April kit in the store for all the details. 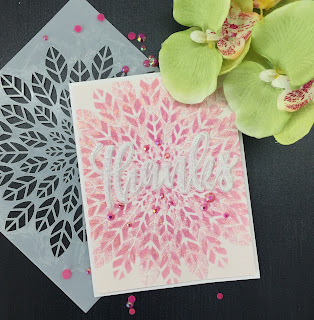 With the distress oxide inks, I first created ombre leaves. 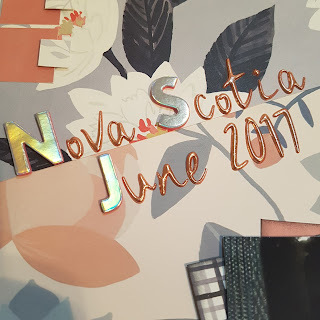 As the distress oxide inks are partially pigmented inks, I zapped it with my heat gun to make sure the ink was dry before I layered the Nuvo Glimmer Paste. I rotated my stencil 45 degress and applied Nuvo glimmer paste in white. Despite drying the oxide inks, the glimmer paste picked up a bit of color. 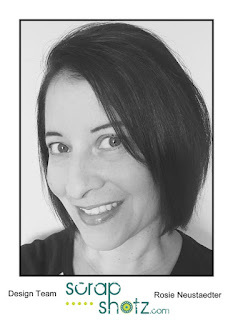 I did not mind one bit as it added to the ombre effect. A close up is seen below. 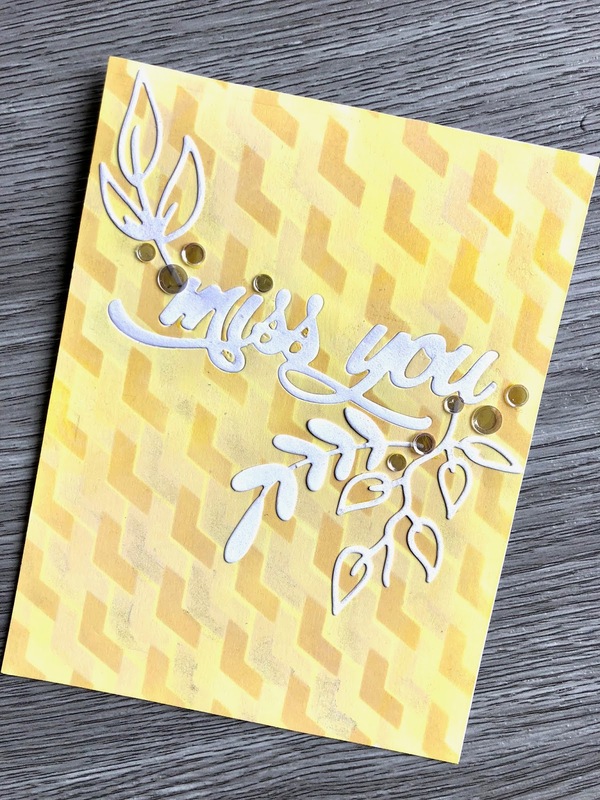 Once the glimmer paste dried, I used the Honeybee Thanks die which I die cut from The Ton Stamps white glitter paper and pearlized vellum. Then for the extra glam factor, I added some Pretty Pink Posh gems. 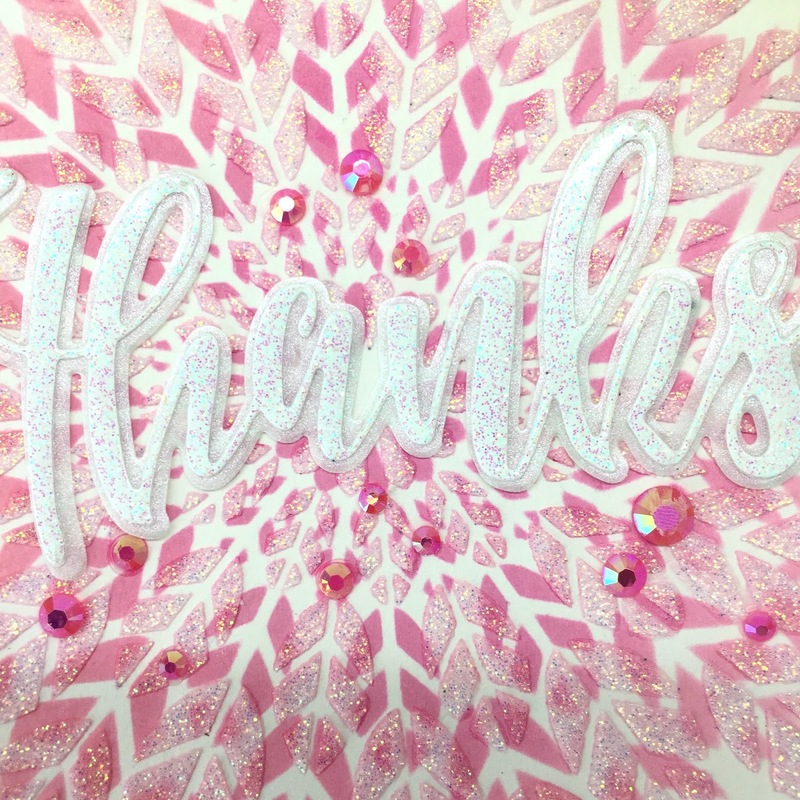 This card is so sparkly :-) It makes me happy! I can't believe how much I love the April Kit featuring Twilight from OneCanoeTwo! The colours are not my go to's and floral backgrounds are out of my comfort zone! 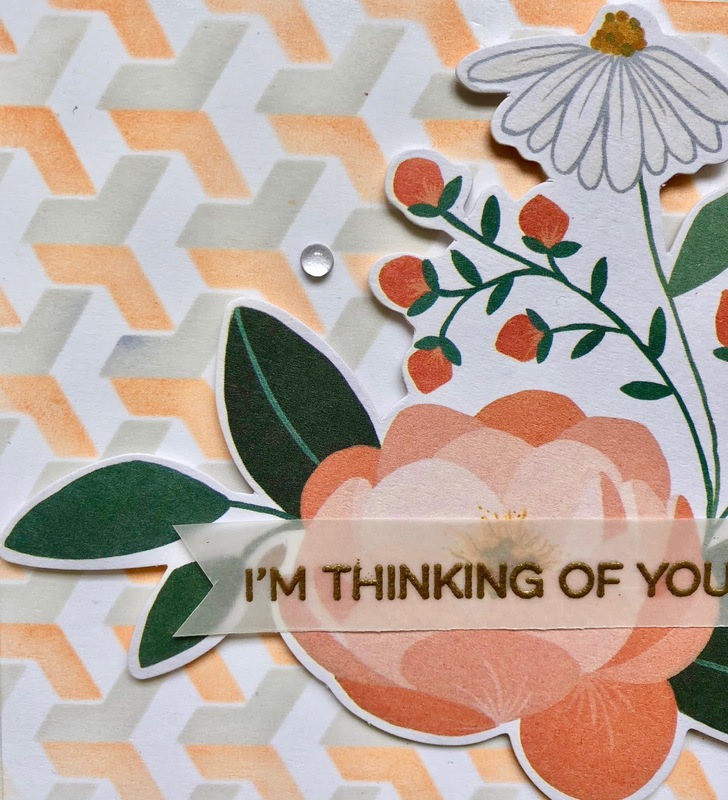 But there are so many options that all go together, floral, plaid, the fireflies, so many ways to use this collection. 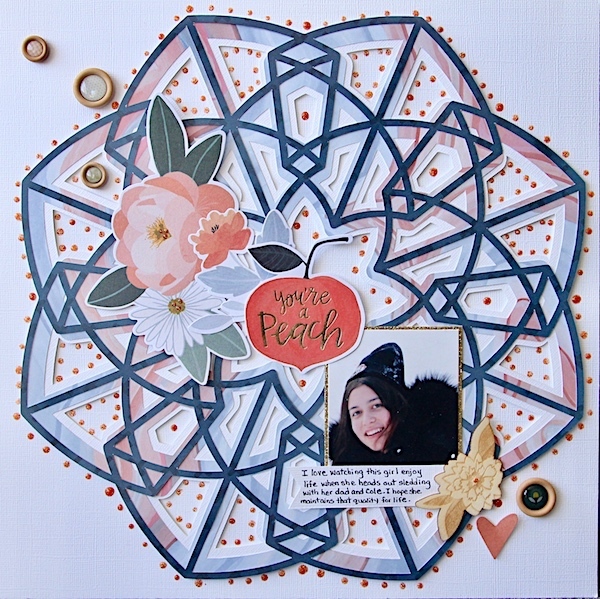 Here is my layout based on the Creative Scrapbooker Magazine and their April Sketchy Challenge. Here are a few step outs showing how I got my pieces together. 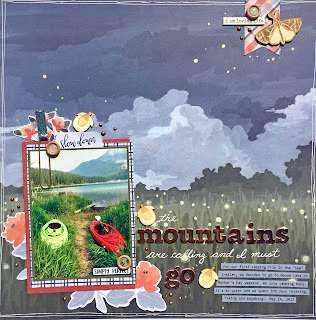 I cut all my layering squares 4 1/4 X 4 1/4 and edged them in Black Soot Distress Ink. 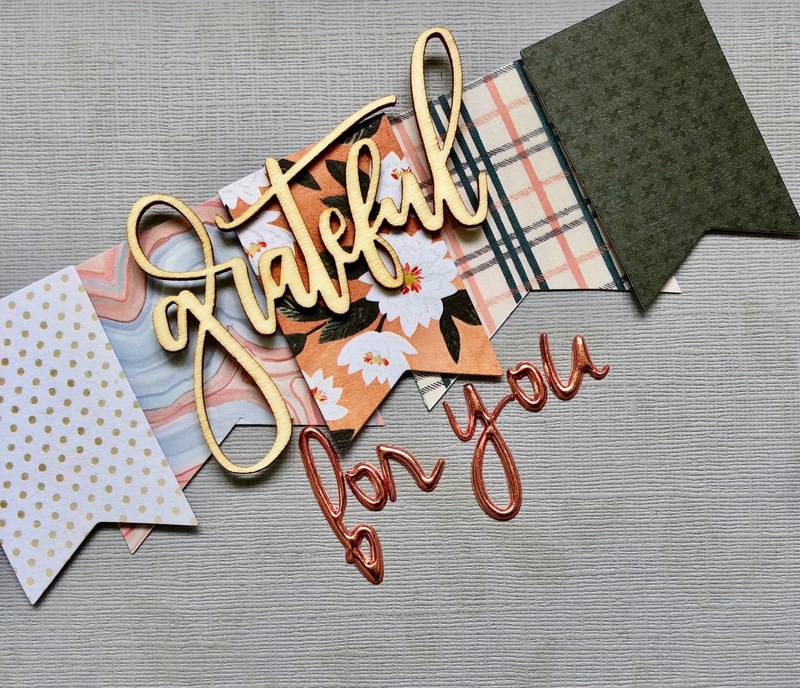 Love the plaid designs in this collection! 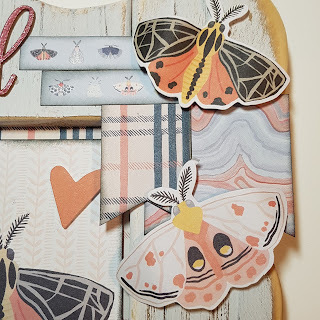 I used the matching Twilight stamp set and Distress Ink in Victorian Velvet, Black Soot, Iced Spruce and Shabby Shutters and added them to my border at the bottom of my layout. 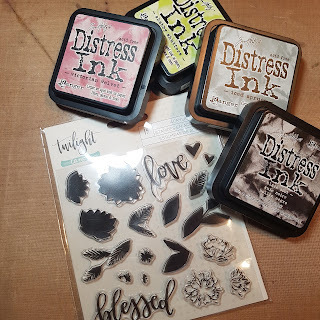 I used the regular distress inks, but you could use the Oxides and even the markers to colour the stamps. 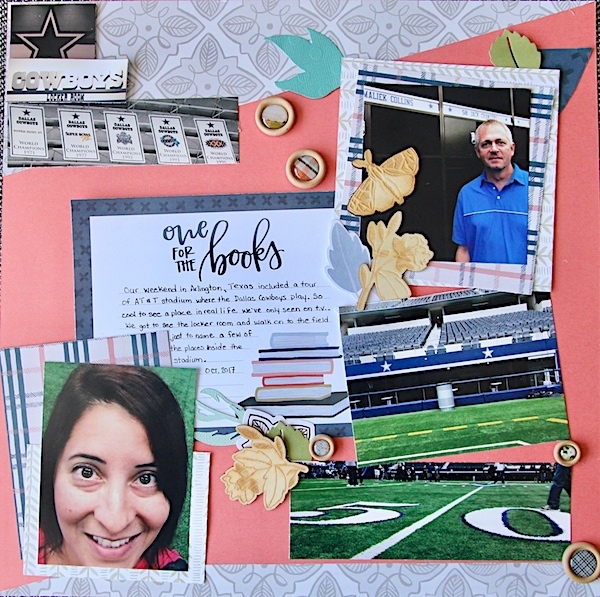 Here are a few close ups of the different sections of the layout. 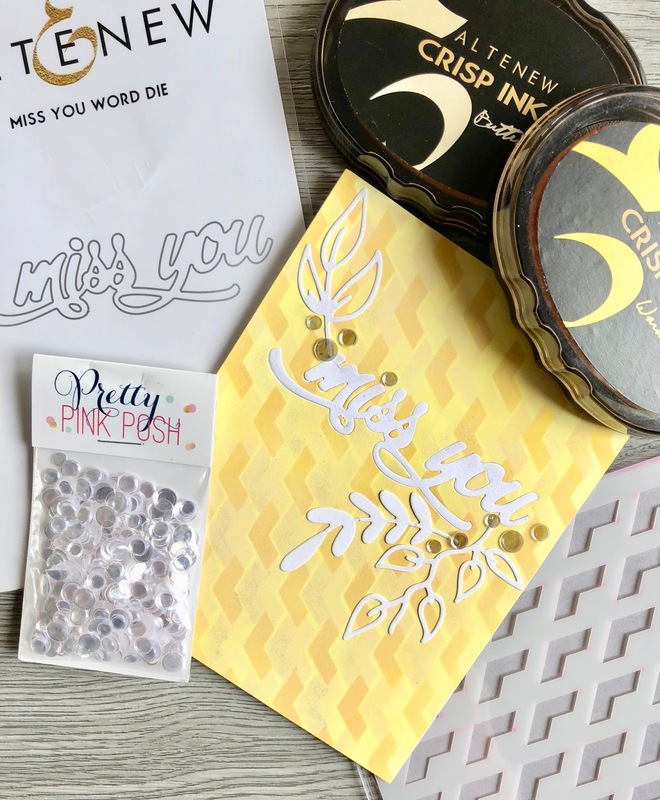 Absolutely love the metallic rose gold letters that go with the Twilight collection. 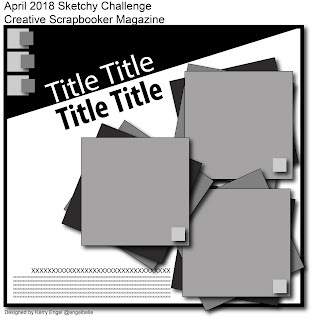 The capital letters are Thickers that are also available in the Scrap Shotz store. For my strips I used the branding strips from the bottom of the 12X12 sheets of paper. 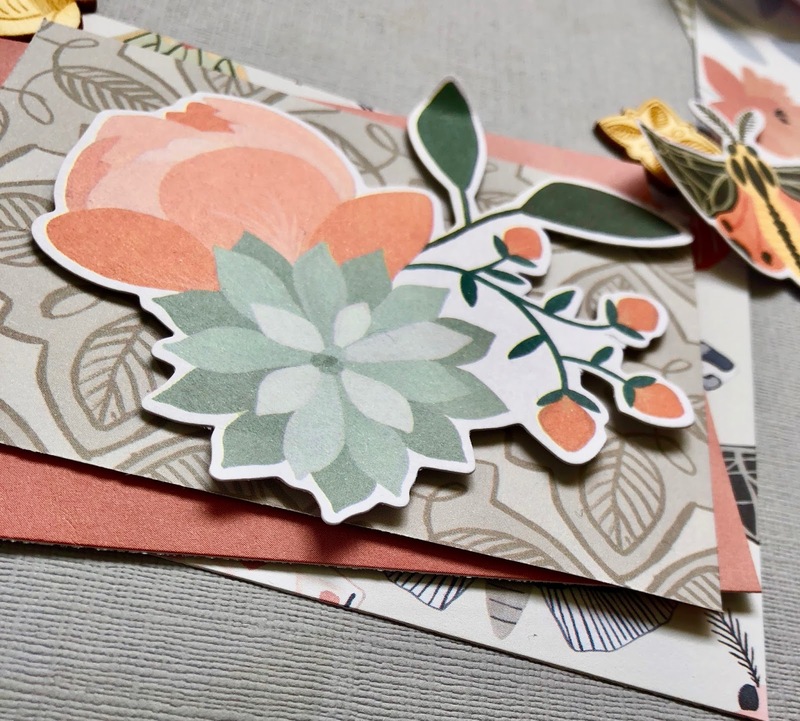 The flowers,leaves and "love" are from the Twilight stamp set. 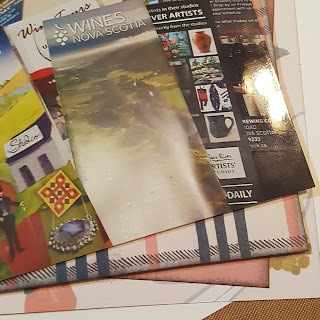 The layers of paper peeking out from under the pictures. 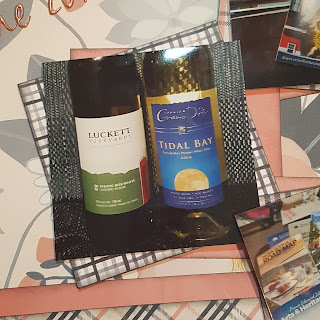 Yes I took a picture of the lovely wines I brought back from Nova Scotia. The Tidal Bay is a special blend that is only available in Nova Scotia. 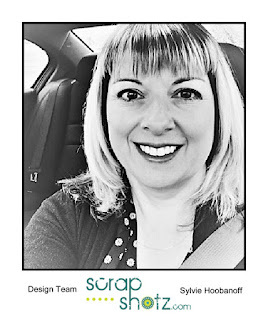 Scrap Shotz puts together such amazing monthly kits! 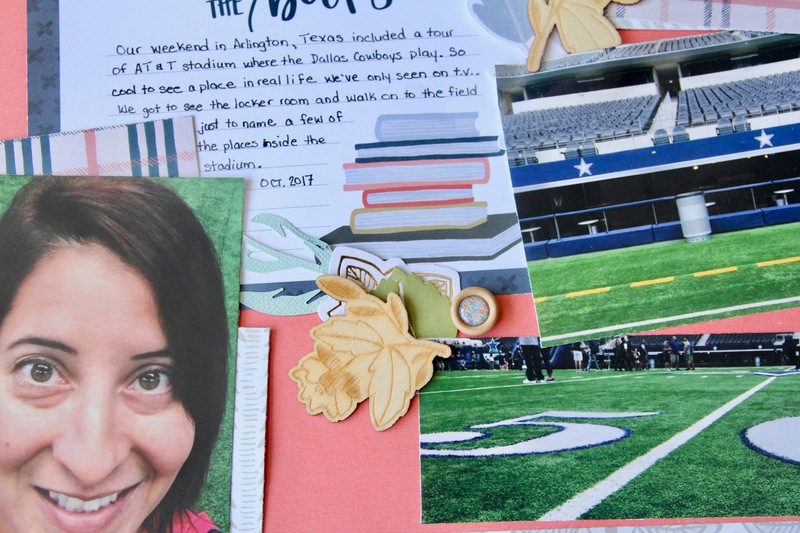 And it's not just for scrapbooking. You can create so many things with the kits! Head on over to the store and sign up for your monthly kit! 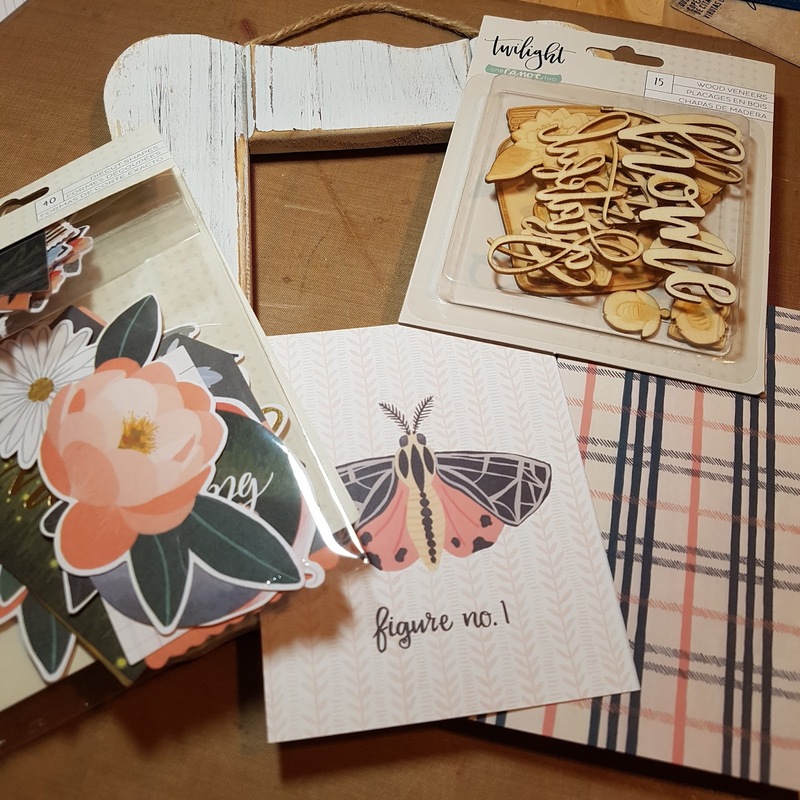 Keep checking in for some great layouts and projects with the Twilight collection and some fabulous products available in the store! New product is coming in fast and furious as we get ready to attend Crop and Create Calgary this week! This card uses the brand new Altenew Weave Builder stencil and Altenew Miss You word die. 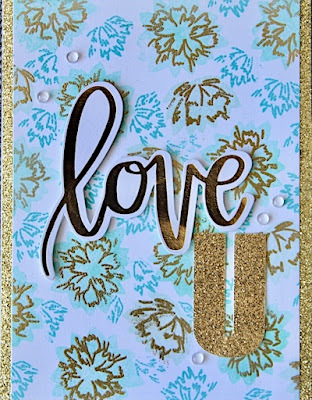 I used the Altenew Summer Afternoon ink set, applying through the stencil with a mini ink blending tool. I have also added some Wink of Stella clear glitter over the lightest shade of yellow ink. I die cut the sentiment from the inked panel, then inlaid the white die cut sentiment, leaves are die cut from the Altenew Create a Wreath die set. 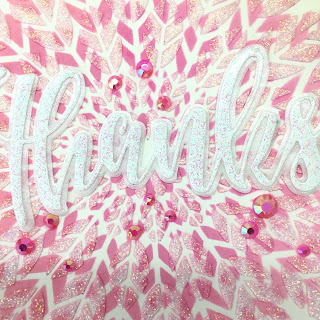 The card is also embellished with Pretty Pink Posh Sparkling Clear Confetti. 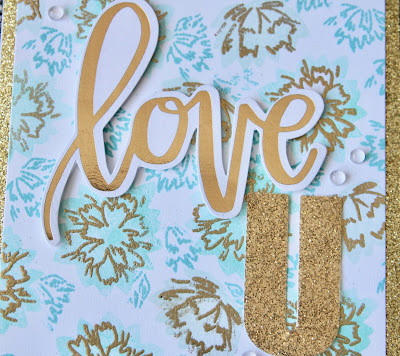 I will be demonstrating a few Altenew stencils including this one at Crop and Create this coming weekend. 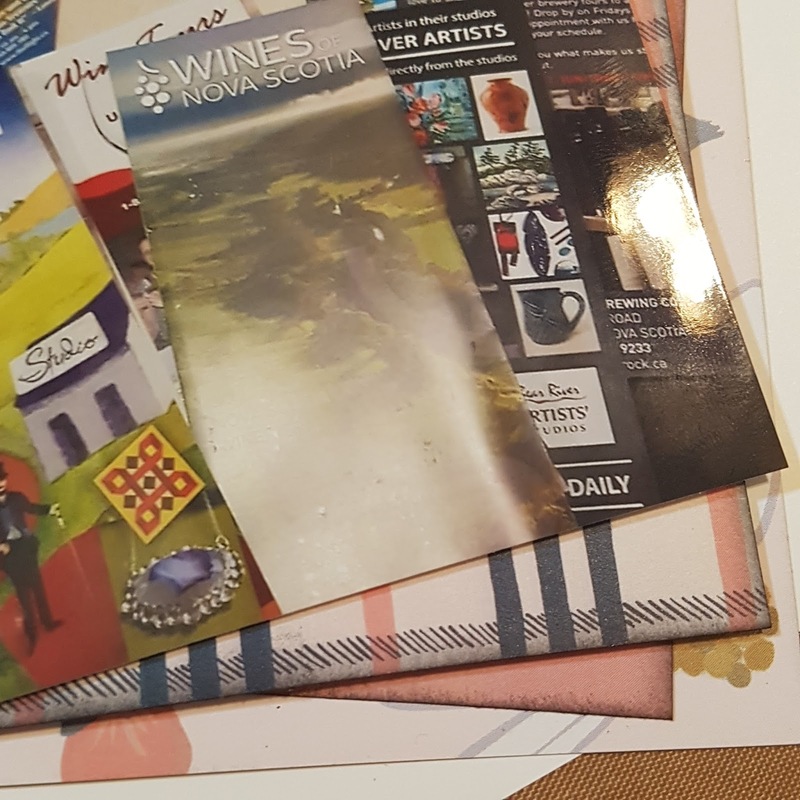 If you're in the Calgary area come and see us at the Coast Plaza Hotel, the event opens Friday, April 20th and runs until Sunday, April 22nd. Happy Friday the 13th everyone!! 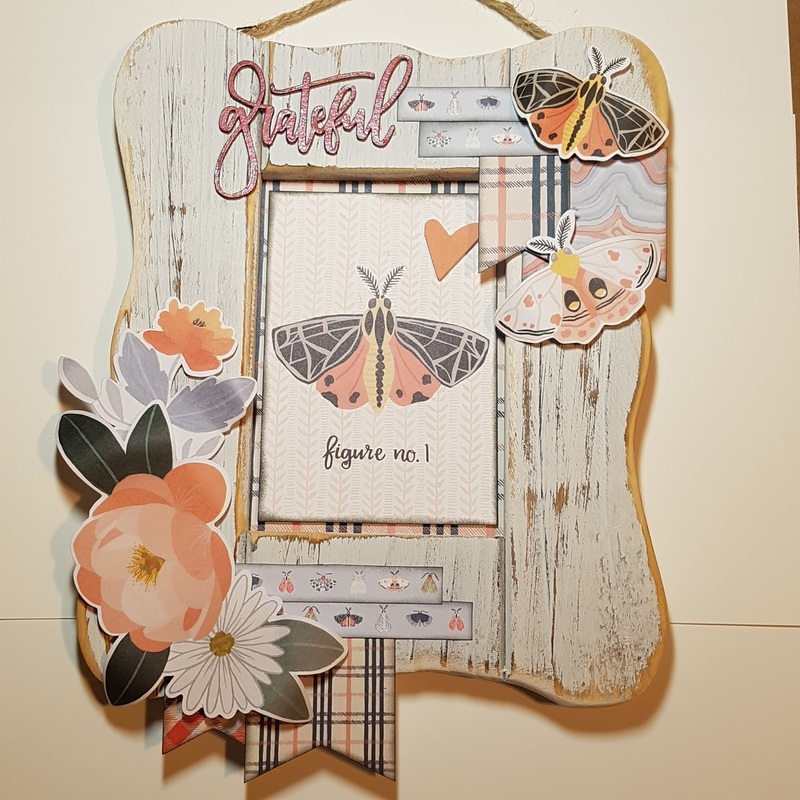 Cathy here today with a home decor piece featuring the April Kit! How pretty is the Twilight Collection from One Canoe Two? 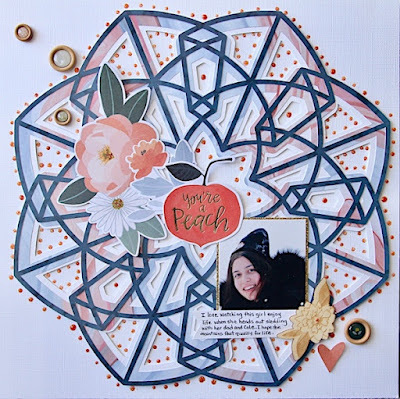 This project is very simple to create and there are so many options with this kit! I love things that I can put on my wall, or sit on top of a bookshelf. 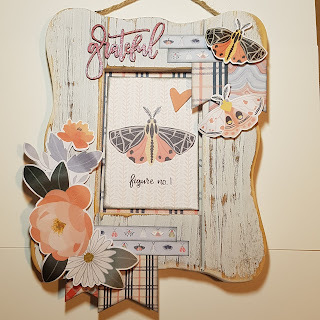 I had this old weathered frame that I'd picked up eons ago and finally put it to use. 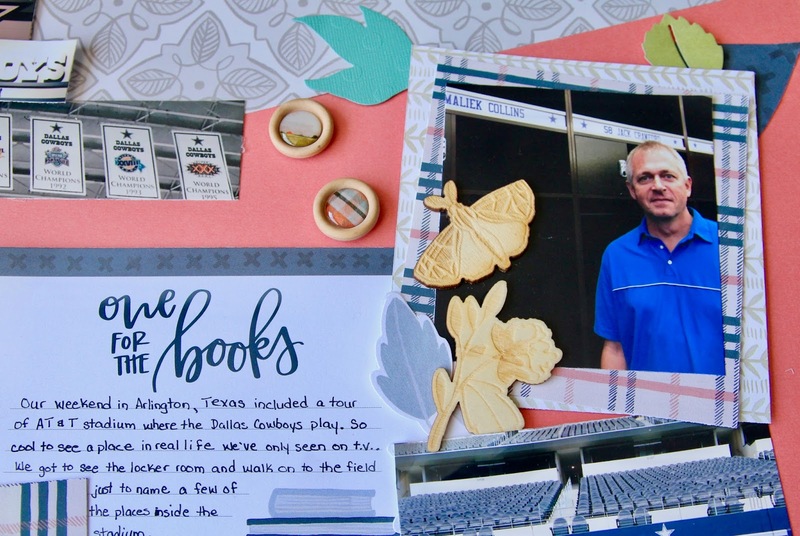 For this project I used the package of die cuts, 12X12 patterned paper and wood veneers. 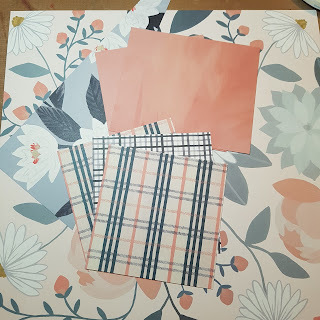 Isn't that plaid paper to die for? 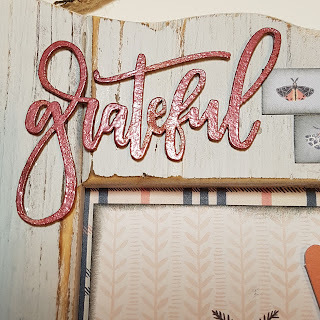 I used Rose Gold embossing powder from Emerald Creek for the wood veneer. 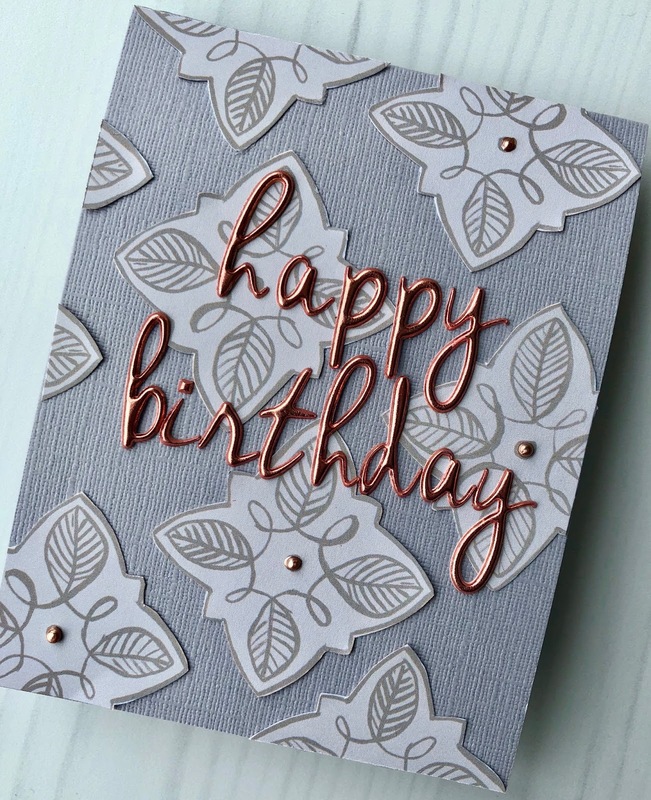 The wood veneers take embossing powder beautifully and so many colour choices that will go with this collection. The completed wall hanging! I edged my cut pieces in Black Soot Distress Ink. 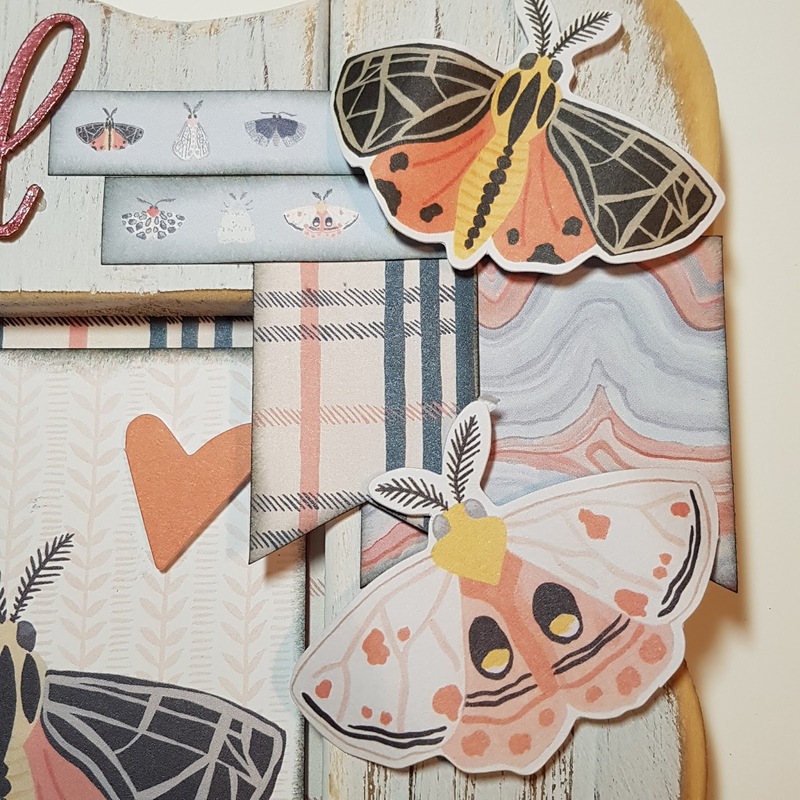 And the small strips of paper with the butterflies on it is the small branding strip from the bottom of one of the 12X12 sheets. Here are a few close ups of the sections for you. 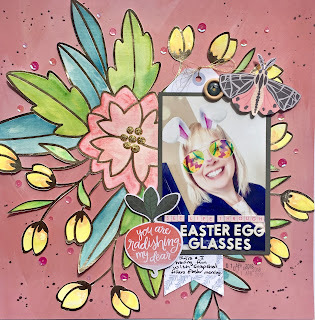 Hope you are ready to get your hands on this fantastic April Kit from Scrap Shotz! And make sure you check out all the add ons that you can order too! 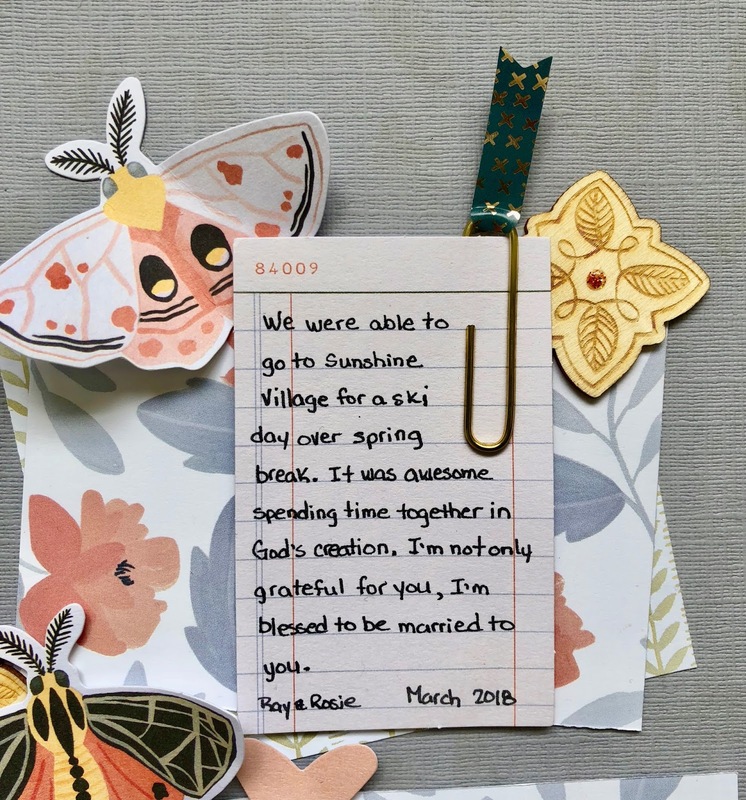 Have you seen the washi tape?! 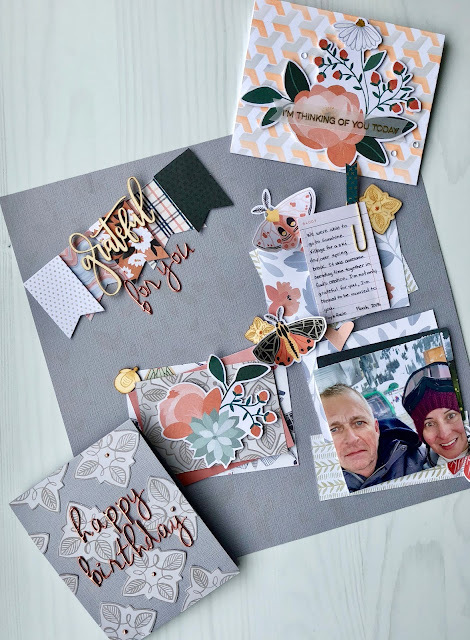 Keep checking in to see the layouts and other fabulous projects featuring the Twilight Collection from One Canoe Two! It's a bit hard to see but I stamped leaves from the stamp set in light gray ink on the card stock creating a subtle tone on tone effect. I placed the paper flags diagonally across the top, popping up the 3 smaller flags with foam adhesive. The title was created with a wood veneer word and kit alphas. I accented this square with a kit paperclip, wood veneer and die cut butterfly. 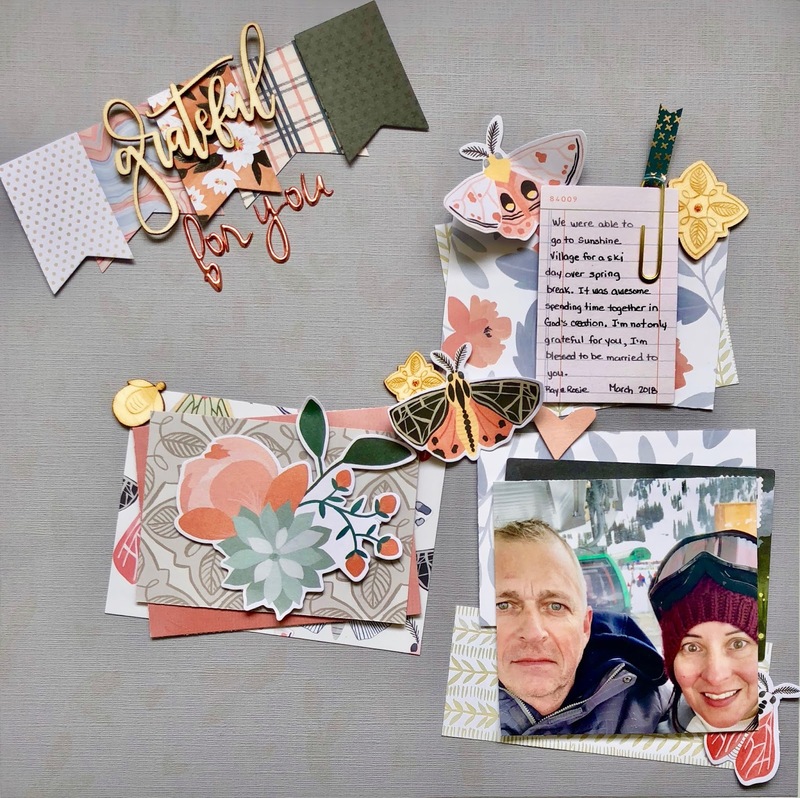 The journal spot is a kit die cut as well. 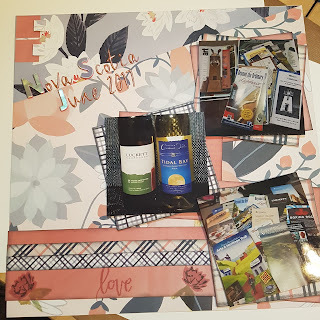 The 2nd square holds 3 layers of matting and this large die cut from the kit ephemera, you can see it's adhered with foam adhesive to add dimension. 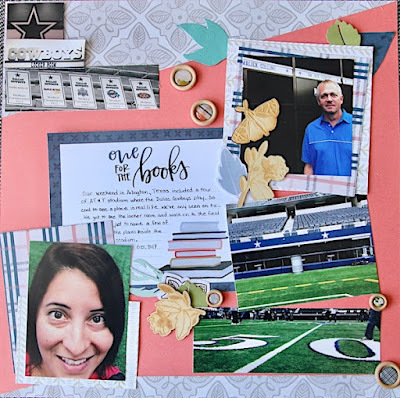 The final section holds the photo. This layout is very different from my first one based on this sketch, I think I like this one better 😉. This card came together quickly and began by ink blending light gray and peach ink with a mini ink blending tool and the Altenew Weave Builder stencil. 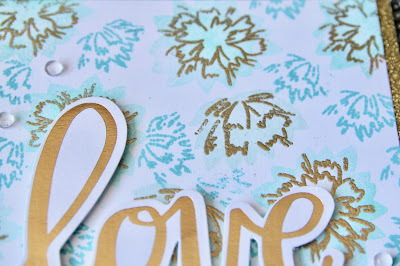 I used Altenew crisp dye inks, this would be lovely with Tim Holtz Distress Oxide inks. After ink blending, I adhered the inked panel to a white card stock base, then adhered the kit ephemera with foam adhesive tape. The sentiment was stamped from the MFT All Smiles Stamp set with embossing ink and heat set with gold embossing powder. A few Studio Katia clear drops accent the background as well. 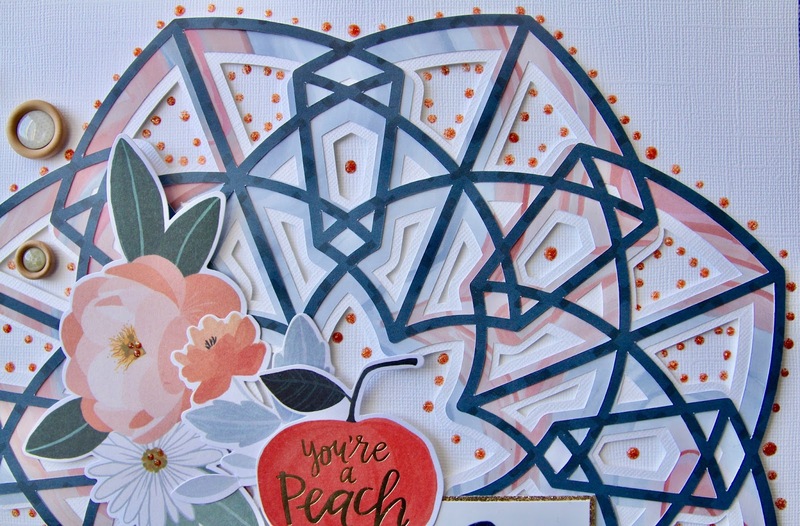 Next, I wanted to create a monochromatic background so I fussy cut these shapes from Garden Tiles patterned paper. 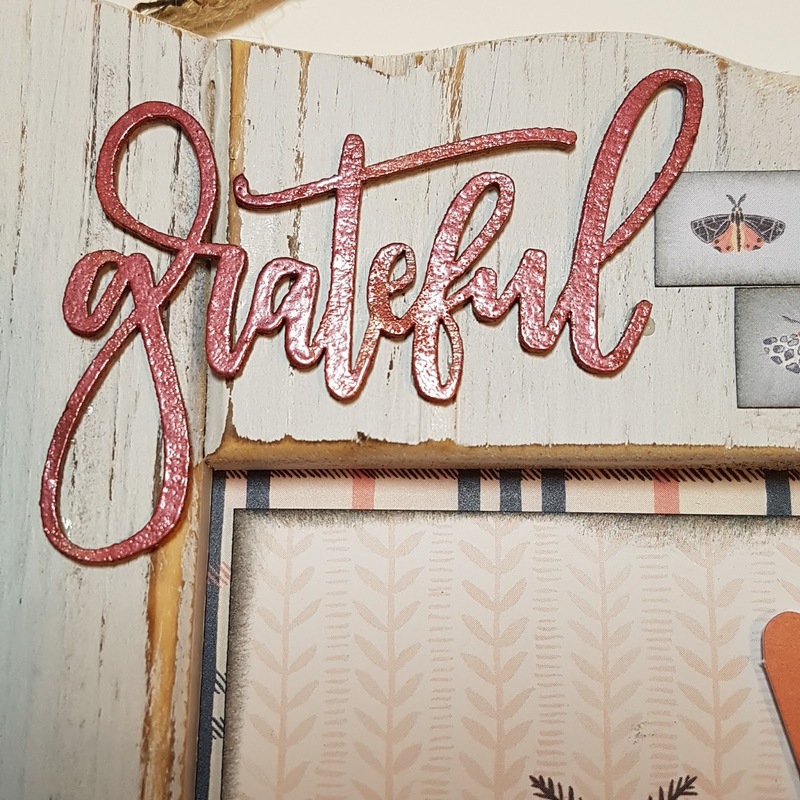 I created the sentiment from the Pinkfresh rose gold alphas included in the kit, love how they pop on the grey background. Liquid Pearls in Rose Gold accent the centres of the fussy cut elements. 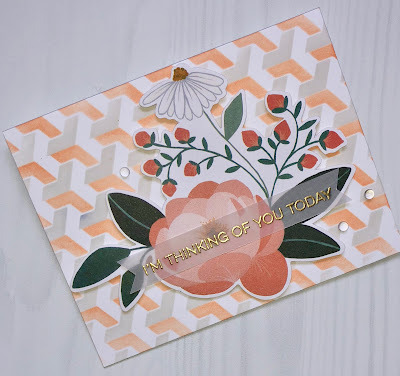 Thanks for stopping in a taking a look! 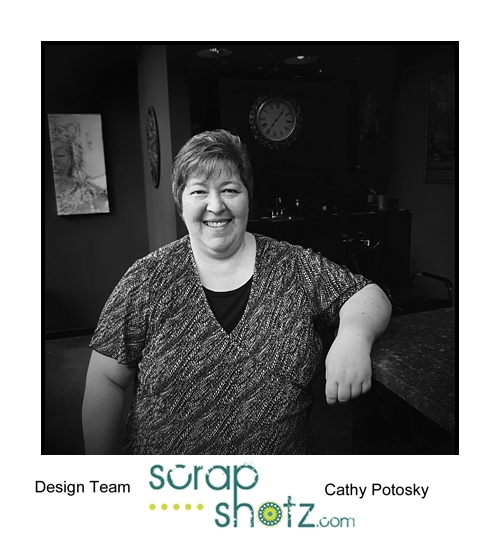 Cathy will be joining you later this week to share what she's been working on. 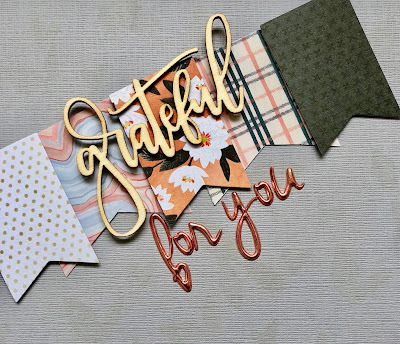 I've been wanting to create a layered die cut background for awhile so I put my Silhouette Cameo to work! The die cut is made of 3 layers, the base layer is white card stock, the middle layer is the kit Marble patterned paper and the top layer is B side of the kit Peony patterned paper. 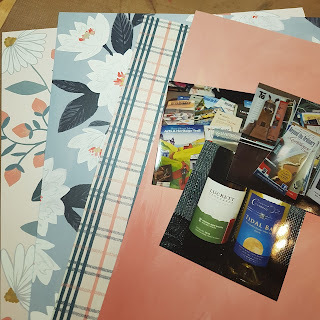 The layers where glued together with liquid glue then adhered to the 12x12 white card stock with foam tape. The photo is matted on gold glitter paper from The Ton. 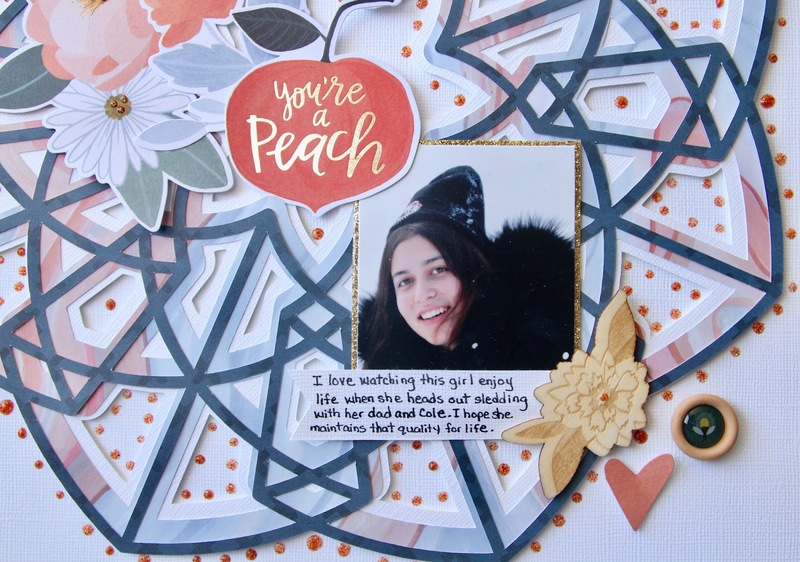 The peach die cut is popped up with foam tape, 2 more die cuts are then layered to the left to lead the eye down the page. I've accented the die cut frame placing Nuvo Crystal Drops in orange soda around it. These wooden buttons are also included in the kit. 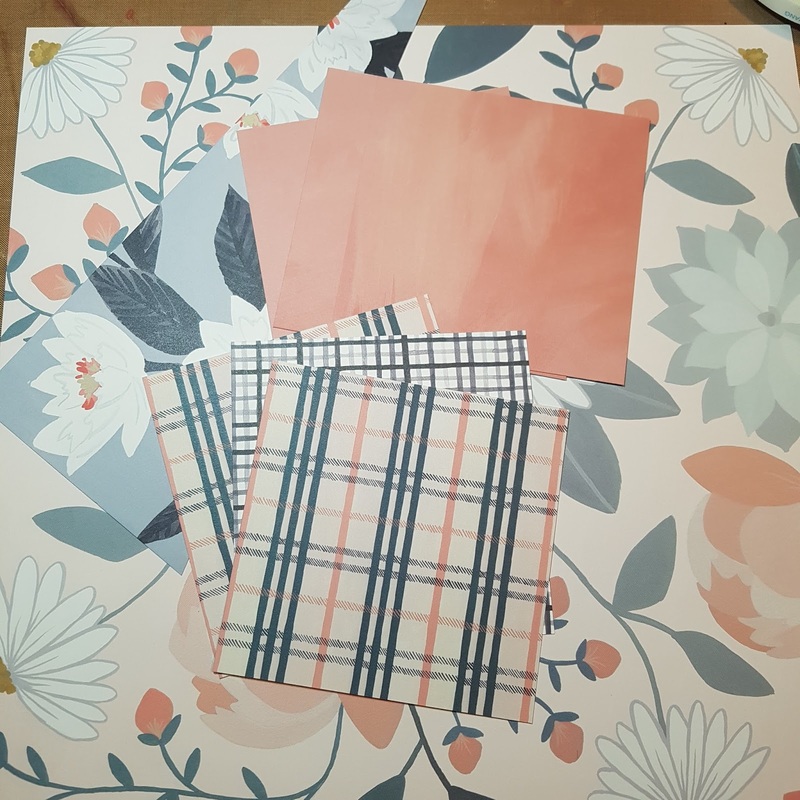 I was initially skeptical of whether these colours would work with these photos from a football stadium but this line is quite versatile as you can see :). 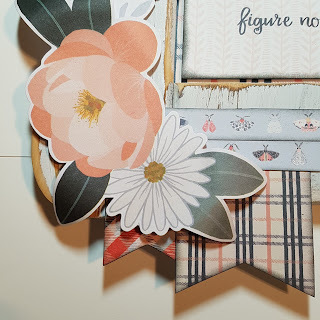 The journal card is from the kit Field Notes patterned paper and also serves as the layout title. I've layered kit wood veneer over kit die cuts and tucked in a few die cut leaves that were leftovers from a different project. Wood buttons from the kit also make an appearance on this layout. Now for a change of pace with a card! I've used the stamp set from the kit, specifically the flower stamps beginning with the largest stamp, then filling in with the smaller images. I've used the Mountain Mist, Volcano Lake and Lagoon inks from this Altenew Ink set. 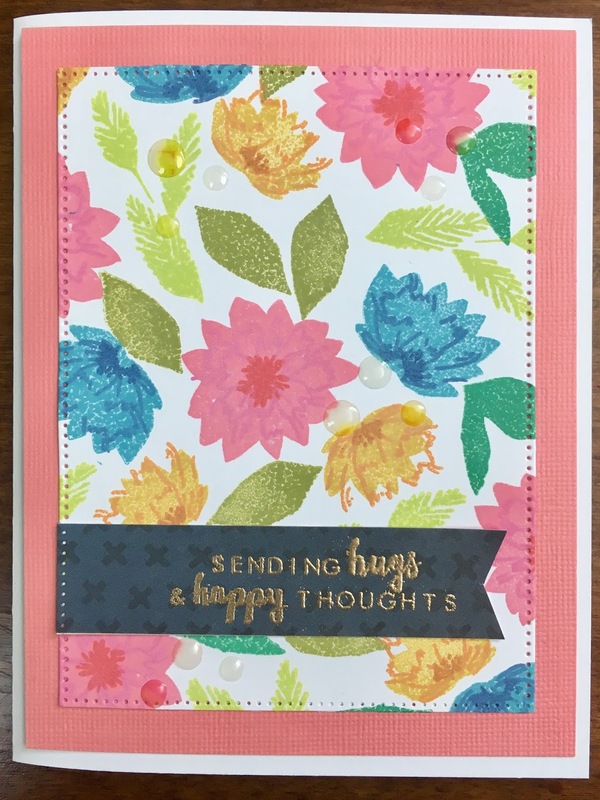 The large detail flower is stamped with embossing ink over the large flower image then heat embossed with gold embossing powder. 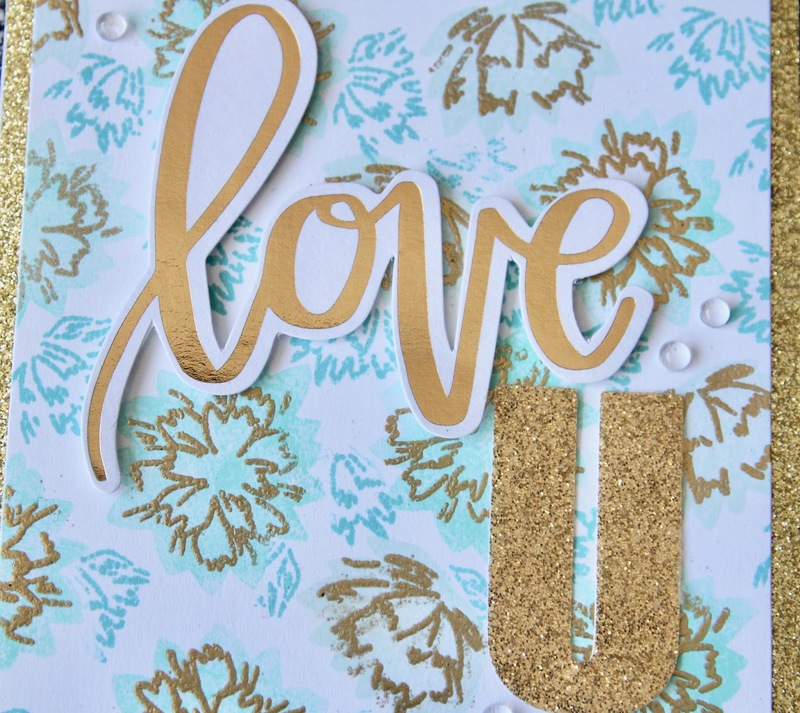 The sentiment is made up a kit die cut, the U is die cut using an alphabet die from The Ton glitter paper. 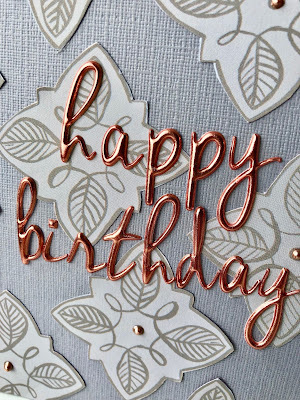 Glitter washi tape edges the right and left side of the card base. A few Studio Katia clear drops finish the card off. You can get yourself a kit right HERE! 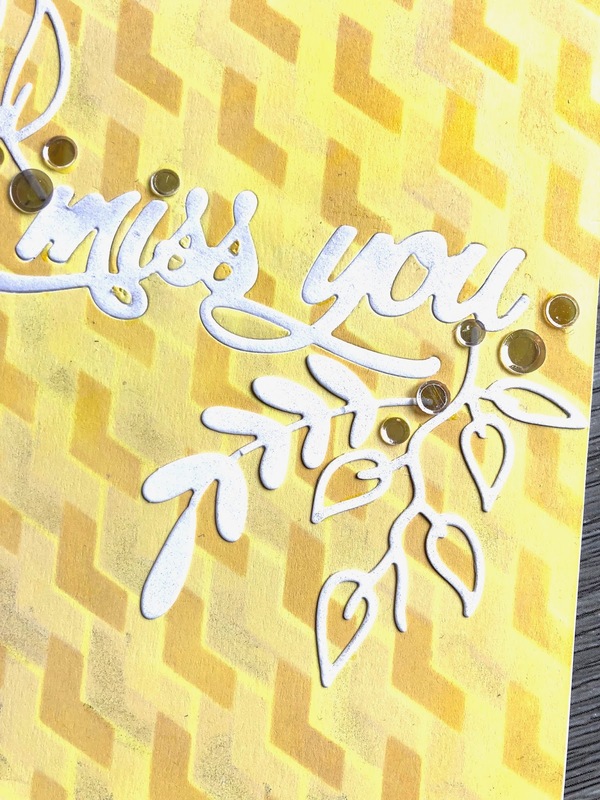 I'll be back Wednesday with more projects, thanks for stopping in! 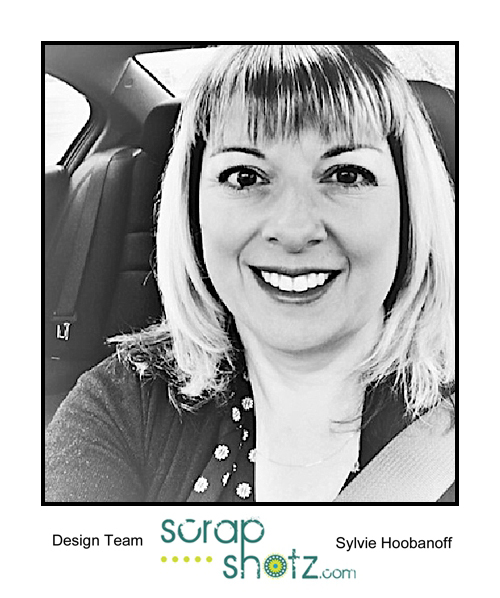 Welcome New Scrap Shotz Design Team!